The 14th annual Hamilton Film Festival is Hamilton's largest and longest running film festivals with roots that go back 20 years! 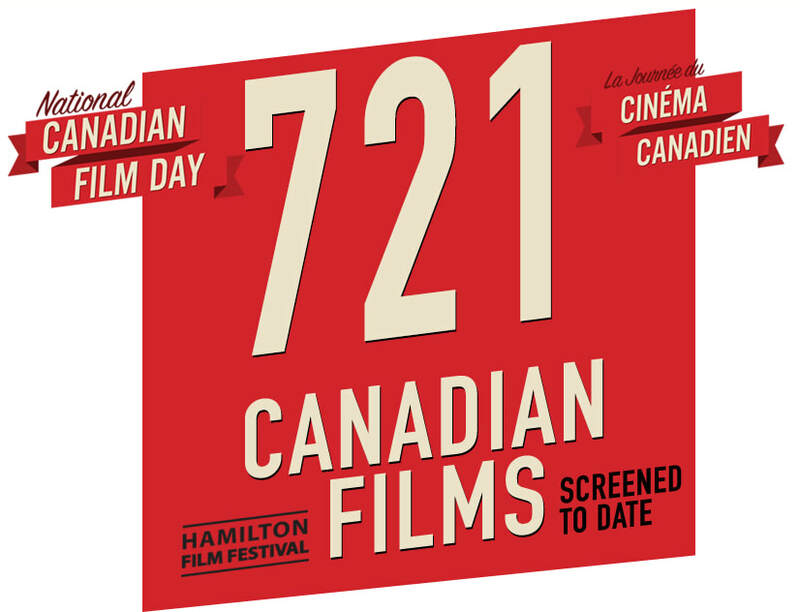 We have screened over 1000 films, 721 of them Canadian Films! Filmmakers, travel to our event, from all over the world. We have had 50 countries participating in our film market component. We connect filmmakers and give them another voice. ​We celebrate the art of movie making from concept to completion. we are always working to move the film industry in Hamilton a little further each year. Internationally recognized and locally focused, the Hamilton Film Festival got it's start, and remains, in the historic Staircase Cafe Theatre. We are also proud to be working with The Zoetic , a beautifully restored 300 seat movie theatre. We look forward to adding the Westdale Theatre and the Playhouse Theatre to our list of historic venues! The theme this year is COMEDY: HAPPY STUFF! Our main focus will be around fun, energetic, uplifting, inspiring films. However you interpret that, is up to you! Features, Shorts, Docs, Experimental, Animated, Student...we accept all genres and lengths. Don't worry, we will always make room for your dark, fun-less films, but it will have to be really good since you will be competing for limited space. Our programming is diverse and on par with some of the world's best film festivals. Many filmmakers have cited the Hamilton Film Festival as part of their festival strategy in the Toronto area, Canada and North America and have since been the home to hundreds of premieres. Our alumni films have no shelf life as we often help promote them through social media and always keep an eye out for encore screening opportunities and distribution inquiries. With the addition of the Canadian Film Market, our filmmakers will have even more great reasons to submit, and attend, the festival/market. When the festival began 20 years ago (even before it was renamed Hamilton Film Festival) , there were few annual film screenings in Hamilton that offered the independent filmmaker access to screens and audiences. Today, there are several festivals and opportunities in Hamilton and surrounding areas. Many of those event organizers have acknowledged the Hamilton Film Festival as part of their inspiration and we have always wiling to participate and promote them. With all the film production activity coming into the city of Hamilton and the new Film District, the festival is contacted throughout the year as a resource for finding cast, crew and locations for independent productions. To better accommodate this we started the Lights Camera Hamilton group page on facebook where people can post and respond to job opportunities, cast calls and resources. Lights Camera Hamilton started as a segment on Cable 14's Hamilton Life with festival director Nathan Fleet bringing filmmakers on the air and updating the city on what was happening that week in the local film world. ​Once again, the Hamilton Film Festival will start on the first Saturday in November and run for 9 days. Nov 2 - 10th, 2019. We are very honoured to be a small part of the large arts community in Hamilton Ontario. We aim to earn the "Hamilton" in our title. Not just support for local filmmakers, but to expose the filmmaking world to our city, which is becoming a major location destination. The Handmaid's Tale, The Shape of Water, The Hulk, Spotlight are just a small handful of films that have filmed in Hamilton, Ontario, Canada. We are 100% independent in spirit, programming and operation, thriving on dedicated personnel, sponsors and ticket sales. We do not get any government grants. We are close to Toronto and when films can't seem to get into the major events there, we are a great alternative just 50 minutes away. Locally focused, we always make sure our Hamilton-based filmmakers have a place to screen, network and learn. Internationally recognized, we make sure our visitors walk away with the experience of meeting new and active filmmakers and producers, as well as experiencing the charm of HFF, and hopefully walking away with a nomination or win! Our festival is as diverse as our submissions and we welcome everyone to our theatres. Bringing in films from over 50 countries, we select great movies regardless of race, sexual orientation, religion, gender or geographic location. We are wide open and would love to see any work you feel is meant for film festivals. As you will see in our Community section, we work with a wide range of groups year round, and that list grows annually.